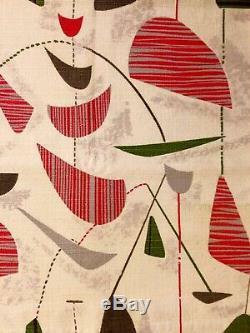 Wonderful MCM Atomic Vintage Original Barkcloth Material. 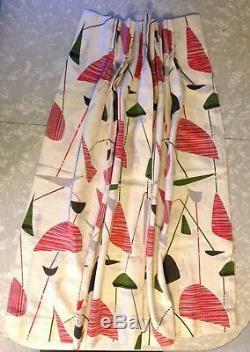 Offered for sale is 1 pleated curtain/drape in this swell pattern. 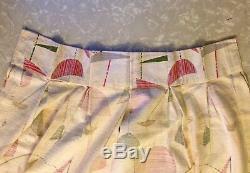 Included are 3 hemmed on all sides panels. 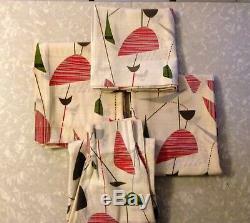 Size: 2 are 42" x 50.5" (+/-) Other is 42" x 40.5". 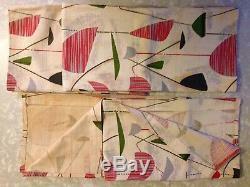 PLEASE NOTE: the 2 matching sized panels do show signs of slight staining in places and yellowing (probably due to sun). 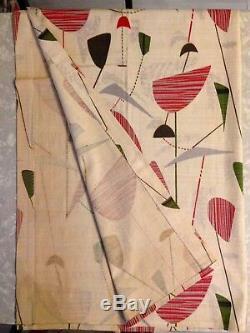 The small panel is in very good condition as is the curtain/drape. No tears or moth holes on any of the items. 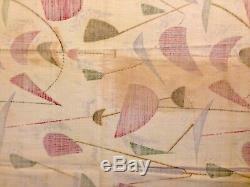 The item "Vintage MCM Mid Century Modern Barkcloth Material Drapes Curtains Atom Pattern" is in sale since Saturday, September 22, 2018. 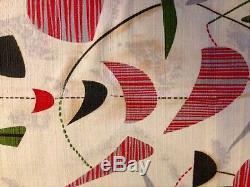 This item is in the category "Collectibles\Linens & Textiles (1930-Now)\Curtains & Drapes". 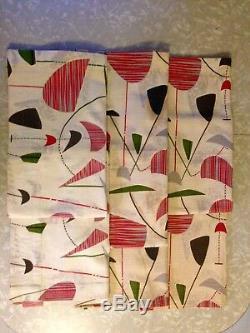 The seller is "bungalowcow" and is located in Mount Tabor, New Jersey. This item can be shipped to United States.